You’ve found that perfect piece of land – now to find the perfect beach home floor plan to go with it! But where do you start? Get ready to create your must-have list with a little help from Direct from the Designers. We’ve gathered some of our customers’ must-have beach home options, and some tips we’ve learned along the way. We have hundreds of incredible house plans, and we can help you find the beach home of your dreams! You’re building on the beach, so enjoy that view! Think windows, and lots of them! Take in that incredible view from nearly every inch of your home with a floor-to-ceiling window feature, like in House Plan 2571. Warm natural light will spill into your home and brighten your day along with it. Open them wide and let the cool sea air invite you to spend the day on the water. 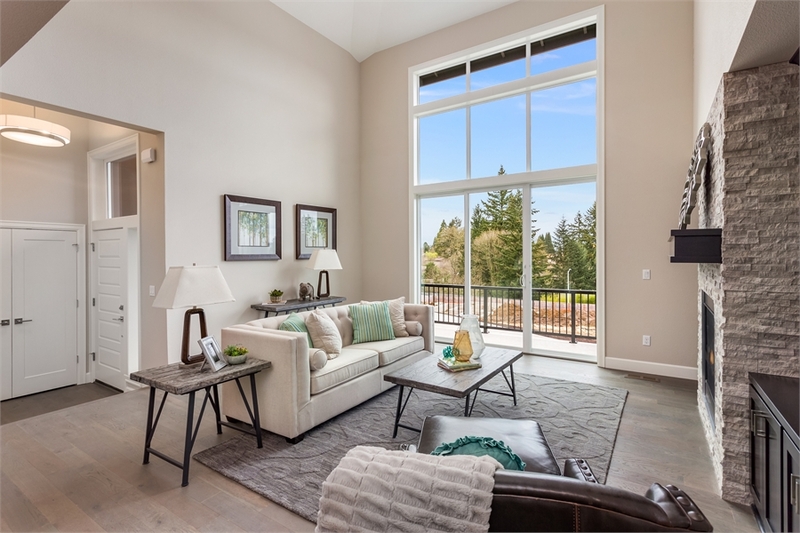 Vaulted ceilings invite an entire wall feature, dedicated to taking in your beautiful view. 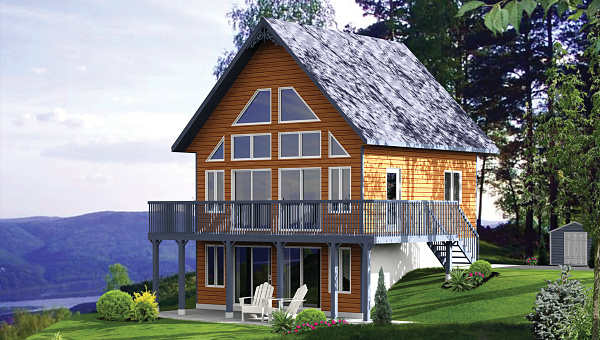 (Check out this one on House Plan 9807!) Why not get creative in your new build and do an intricate design? Create a bold window feature that brings both curb appeal and functionality to your beach home. Use windows to accent rooflines and deck space to bring in the “WOW” factor! Add French or sliding glass doors to marry function and design. You may love an expansive ranch-style home, but consider building a two- or even three-story beach home – the benefits are breathtaking! With a drive-under garage, like the one seen on House Plan 4389, you’ll elevate the main living spaces in your home and optimize that view! Need to see overtop that pesky neighbor who’s blocking your million dollar scenery? 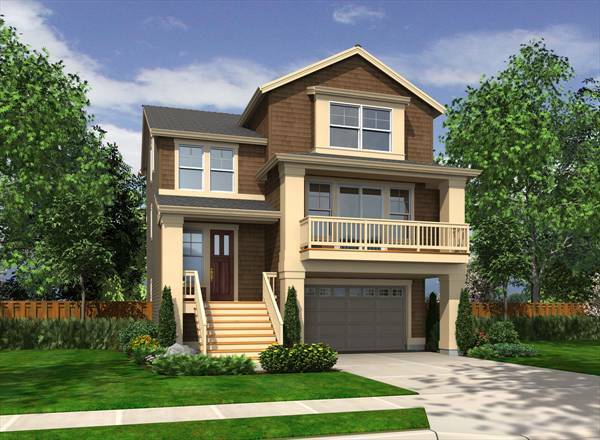 This “elevation plan” is perfect for those who sit back just a bit from the beach. As always, add windows wherever possible to let in all that beautiful light and fresh air! When you own a beach home, family and friends will be knocking down your door, begging to visit – and they’re hungry. Keep your beach home’s kitchen open and airy. (See House Plan 1936) Again, windows are key, but even more important is seating. Make room for the whole gang with bar seating and an eat-in kitchen. Listening to the laughter of guests makes for a happy chef. 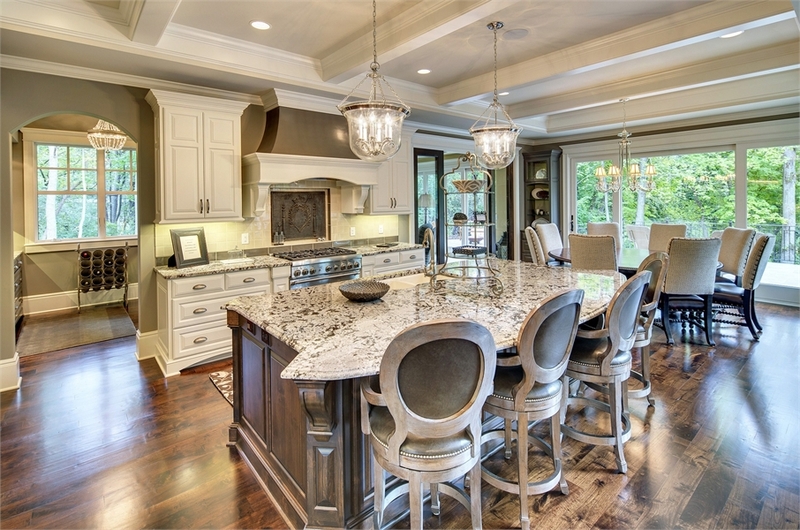 Consider an open-concept kitchen and living space so the cook can be part of the party! House Plan 1933 shows a great example of how to get out and enjoy the piece of paradise that you’ve worked so hard to earn! Outdoor living spaces are a must-have when it comes to beach home living. Expand your square footage by adding a lanai or covered porch with enough seating to entertain. For nights when the water puts a chill in the air, add a fire pit or fireplace feature with casual seating. Then, bring the party to life with a wet bar or full outdoor kitchen! 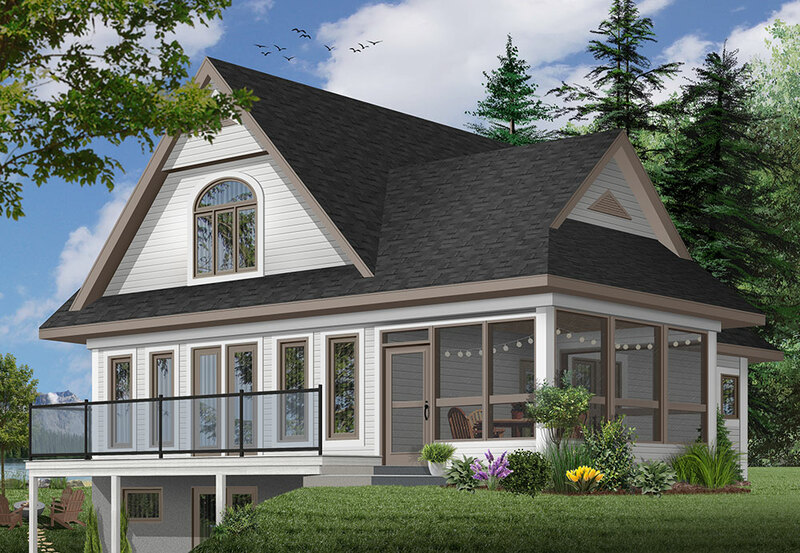 Enjoy the great outdoors and avoid the elements with a sun porch in your new beach home. (See House Plan 1351.) You won’t regret this addition when you’re enjoying a private sunrise and a cup of coffee before you’re even dressed for the day! And in the evening, don’t let a few critters ruin your night outside! Screened in porches allow the fresh air in, while keeping those pesky bugs where they belong. Plus, a summer rain will never get you down! Cozy up with that special someone and enjoy the sound of raindrops in full-surround sound. Now that your mind is racing with ideas, check out our full collection of Beach House Plans! As always, take the time to read this Important Facts to Know Before Purchasing House Plans.